​Doc. 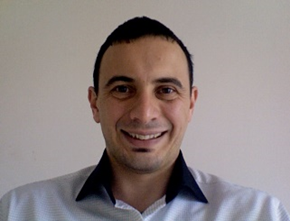 Giuseppe Gervasi was born in 1979, December 3rd, and graduated in Medicine and Surgery in 2004, July 21th, with the maximum vote and the following thesis “Electroencephalographic study of patient presented with migraine”. Specialization in Neurophysiopathology in 2008, October 21th, with the maximum vote and the following thesis “CPAP compliance and excessive daytime sleepiness in patient with OSAS”. Main issue during specialization residence has been sleep disorders, with particular attention for Obstructive Sleep Apnea Syndrome (OSAS). PhD in Neurobiological Science since 2012. Main study objects has been consciousness disorders (i.e. vegetative state and minimal responders), sexuality of patient with neurological disorders. Moreover, he has directed the logistic accommodation of neurophysiopatology Duty, and he has also taken lessons about practice of echocolordoppler examination to young student for radiological technician. Good knowledge of both oral and written English, with lvl B1. Main scientific objects: epidemiology, prevention, rehabilitation, public health, sexuality, neurology, sleep disorders. To date his scientific production count 22 scientific article on indexed periodical, 6 book chapters and about 60 scientific contribution to national and international meeting. He won one grant as best scientific contribution by young researcher for Italian Society of Neurology, and one grant as best scientific contribution by young researcher for European Neurological Society.